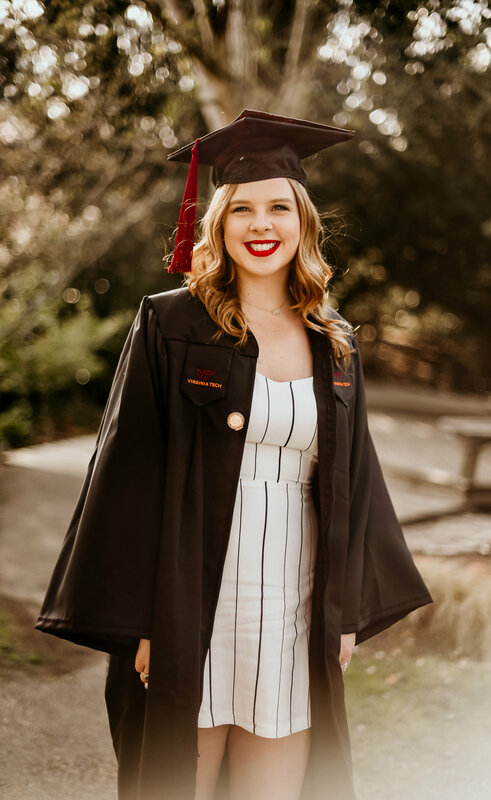 "My time at Virginia Tech has been something I wouldn’t trade for the whole world, my only regret is graduating a year early so I didn’t have more time. I’ve grown in my education but also in who I am as a person. Three years ago I was a shy girl who wasn’t confident or happy and looking back, each experience and person I’ve met at Tech has pushed me further and further out of my comfort zone. The friends I’ve made not only carried me through these three short years but will continue to push me to do bigger and better things. 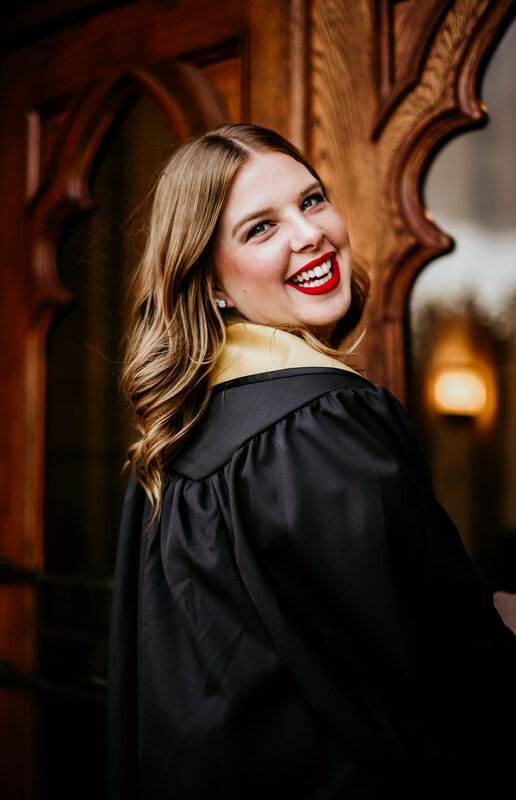 without my friends, I wouldn’t be half the woman, I wouldn’t be going to the graduate school of my dreams, and days would have a lot less laughter. From tailgates, to all day library sessions, to nights in apartments cackling in the floor, these past three years have meant everything to me. Each person that came into my life has impacted it in some way and knowing that in just two weeks I’ll be graduating and leaving it all behind makes me incredibly sad, but a happy sad. I know that God put me at Virginia Tech and to say I was blessed by that is an understatement. 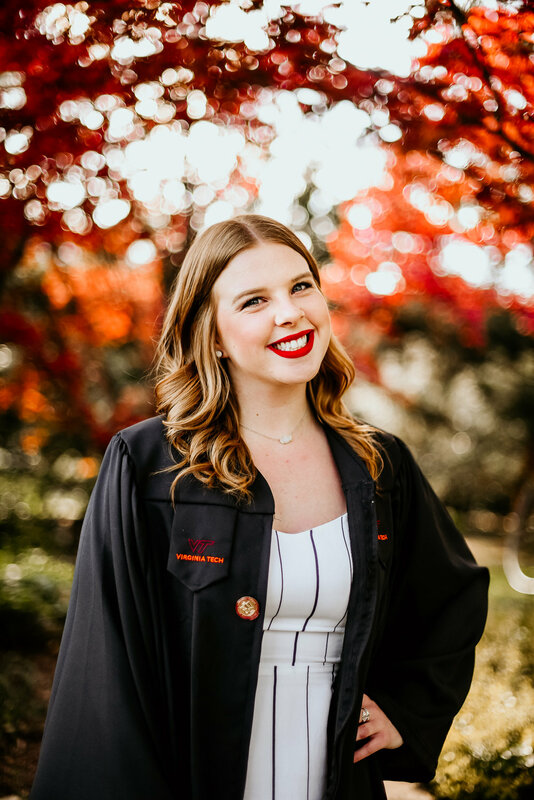 As I go on to Occupational Therapy school at Ohio State (boo buckeyes) I know that the things I’ve learned at Tech will help me grow into the OT I want to be."